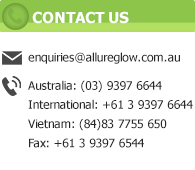 Allureglow® have a standard range of photoluminescent / glow in the dark signs available. Customised signs onto Aluminium, PVC, vinyl and other substrates also available. Standard signs include running man exit signs, fire hose and fire extinguisher, first aid and directional arrows. Allureglow® can also produce customised braille and tactile signs to suit your specific requirements. AllureGlow® Signs are manufactured using unique pigments and offer benefits beyond standard evacuation and fire control signage. Produced on metal, AllureGlow® Signs are functionally sound and extremely sturdy. The range of luminous signage produces an effective means of emergency guidance both in light and dark conditions without the need for electrical power and meet all the necessary ISO standards. 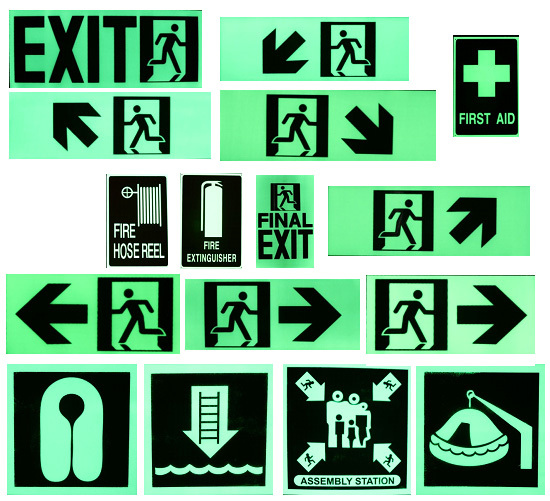 AllureGlow® evacuation signage is made to suit and meet the requirements of many authorities around the world. The signs utilize the internationally recognised running man symbol which is being adopted globally. 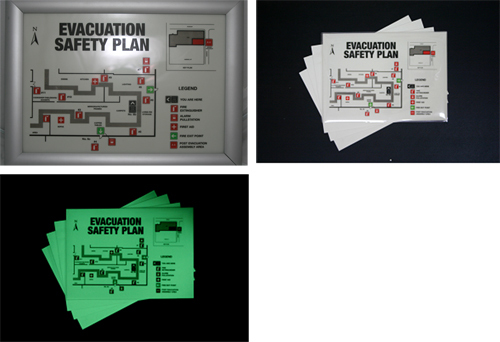 Create your own A3 or A4 evacuation plan using your office laser jet printer.